The new plan will help grow tourism and strengthen Grey's reputation as a destination of choice in Ontario. The County of Grey Administration Building will be closed on Friday, July 1st, 2016. The Building will re-open on Monday, July 4th, 2016 at 8:30 a.m. Residents who usually receive Ontario Works benefits by mail will have to pick up their July 2016 cheques in person. Grey Highlands Secondary Students have built and installed six sign kiosks to help visitors experience some of Grey County’s finest waterfalls and greatest views. Over the next few months seasonal road work will be taking place across Grey County. For a full construction map, please visit www.grey.ca/roads and select the interactive map. Owen Sound Ontario - June 7, 2016 – On June 7, 2016, Grey County Council selected a contractor to build an addition and renovate areas of the Grey County Administration Building in Owen Sound. Devlan Construction Ltd.
On June 3– 4, volunteers, community partners and county staff are coming together to build a youth engagement pavilion at the Alpha Street housing community in Owen Sound. Historic Community Mapping Project Now Online! Grey Roots Museum & Archives is pleased to unveil the Grey County Historic Communities online mapping project. The application identifies the smaller historic communities on both County and local roads. Users can explore pictures from the past read descriptions about the settlements. The project pays tribute to communities that at one time played an important role serving settlers in the area.  On June 9, Grey County is holding a public meeting to discuss the use of ATVs (all-terrain vehicles) on many County Roads and on more sections of the CP Rail Trail. Participants will learn more about the requests and will have the opportunity to voice their opinions. Saints & Sinners Trail Taste of the Trail Event at Grey Roots: Beer, Wine, Cider, History. Grey Roots Museum and Archives is hosting a brand new event on Sunday, June 12 from noon to 5 PM. Saints & Sinners Taste of the Trail is a chance to taste great beer, wine and cider while enjoying delicious food and live entertainment in the Moreston Heritage Village.